Hashtags are very important in artist social media marketing! The best way to spread your art on social media and connect to art collectors, art lovers, and gallery owners is to use hashtags! Hashtags are the definitive way to market your art on social media. Artist social media marketing is at the forefront of artist marketing tools and hashtags is one item all artists need to learn. Hashtags are a relatively recent phenomenon. Ten years ago the # symbol was used for dialing phone numbers. However since the advent of Twitter the “hashtag” symbol has taken on a new meaning. 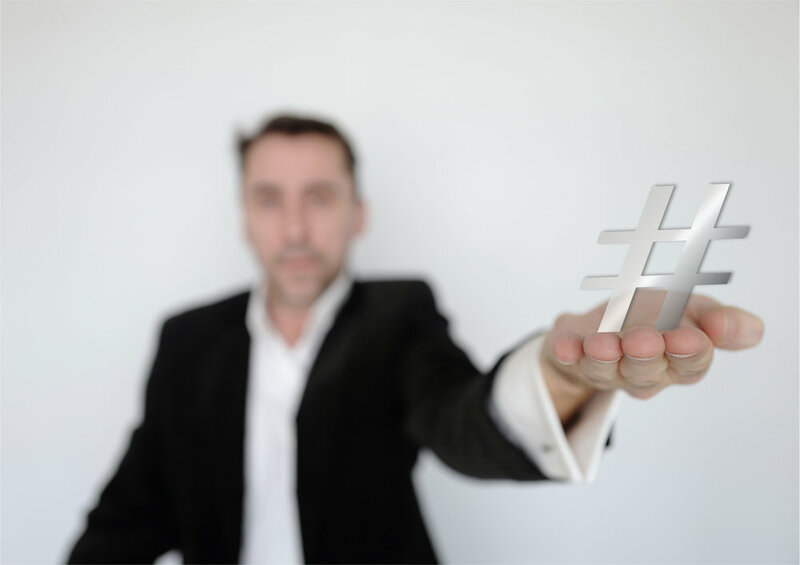 A hashtag is a way to tag your social media messages in a way that accomplishes two things: 1) to summarize the main topics of your message and/or content and 2) to make your post easy to find by other users who are searching for or viewing certain hashtags. This second point is why choosing the right hashtags to add to the end of your post is so important to help your artist social media marketing. Since this is a little bit of an abstract topic, the easiest way to describe it might be through using an example. Right now a popular movement on social media is the #metoo campaign, aiming to highlight the prevalence of sexual assault in Hollywood as well as society as a whole. Women or men who want to share their stories of sexual assault or harassment on social media would tag that post with #metoo to identify it as part of the movement and to increase its visibility. These kinds of campaign or pop culture based hashtags usually become popular for a short amount of time. More general hashtags such as #art or #artists, while they may not experience the explosion of popularity that a pop culture hashtag has, will still accomplish the same goal, to increase the visibility of your social media post. Steady and proper use of art hashtags increase the long-term exposure of your artwork and increase your ability to properly market art on social media. Now for a more relevant example - say you are an artist and want to post an example of your artwork to Instagram and boost your artist social media marketing. (to learn more about Instagram and how it is a great social media platform for artists check out our other blog here). Lets say your painting is an oil landscape. In the caption of your post you might include popular general art hashtags such as #art or #artist. These general hashtags should almost always be included in an artist’s social media marketing strategy. You may also want to include more specific hashtags that correlate to your specific work of art such as #painting #oilpainting or #landscape. 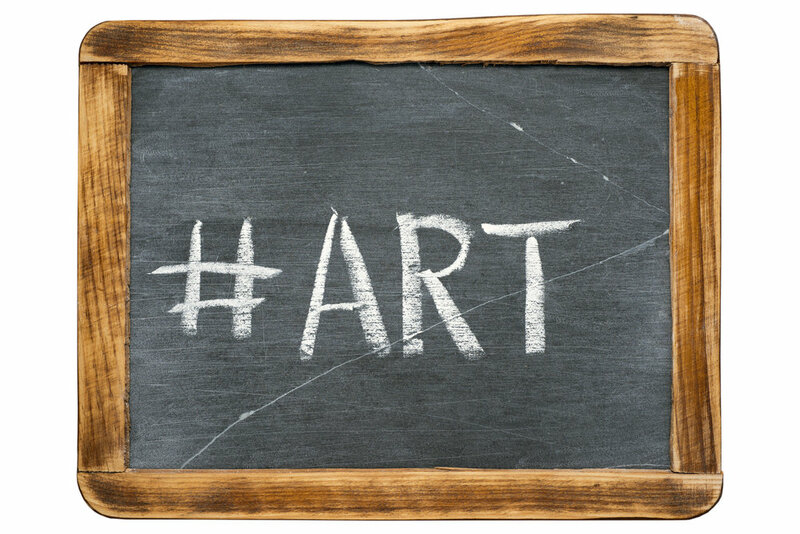 You can even use hashtags that correlate to the specific subject matter of your painting. If it is a painting of mountains use #mountains. If it is a painting of a specific mountain range you can even tag that, for example #blueridgemountains. This method essentially filters your post so that art collectors, art lovers, and/or gallery owners who are searching for your type of art can find your post. Artist social media marketing relies on this type of categorizing and filtering; without it your post can get lost. How to use hashtags is the easy part. It gets a little trickier to figure out which hashtags to use. As you saw in the above example a hashtags generally follow a general pattern. They are usually nouns and they are usually pretty short. People generally don’t use full sentences as hashtags, they either use a single word or at most a phrase (like #metoo in the above example or #newyearseve if you are posting on December 31st). You will also notice that if you do use multiple words in your hashtag then there are no spaces between them, you treat each phrase as its own unit, so to speak. You can also take individual words in a phrase and hashtag each one separately. For example - using the phrase Blue Ridge Mountains you tag it as #blue #ridge #mountains, however this does not guarantee that they are popular or relevant hashtags. #ridge could mean a mountain range or it could be used to take a picture of the dog breed Rhodesian Ridgeback, which probably doesn’t have a lot to do with your artist social media marketing. How can you determine which hashtags are popular hashtags? Well lucky for an artist looking to excel at social media marketing Instagram lets you search by hashtag and see how many posts are tagged with that specific hashtag. A good rule of thumb to follow is that if there are 100,000 posts or more than it is a popular hashtag, If a hashtag is in the 10,000-100,000 post range then it is moderately popular so go ahead and use it. If it is 10,000 or below err on the side of not using it, unless it is very specific to a defined niche. With Twitter, finding how popular a hashtag is on a little trickier. While you can search for a hashtag it does not show you the amount of posts that use that hashtag, just the frequency of how often it is used. A good rule to follow with this is that if it is used at least once a day it is a popular hashtag. If you see that it is only used in a post every couple months than it is not very popular and will not help with marketing yourself through social media. That is a brief overview on how to use hashtags in artist social media marketing. Remember, choosing the perfect hashtag can exponentially increase your posts visibility but don’t stress about choosing the right one - soon after posting a few images of artwork you will see which hashtags work best. 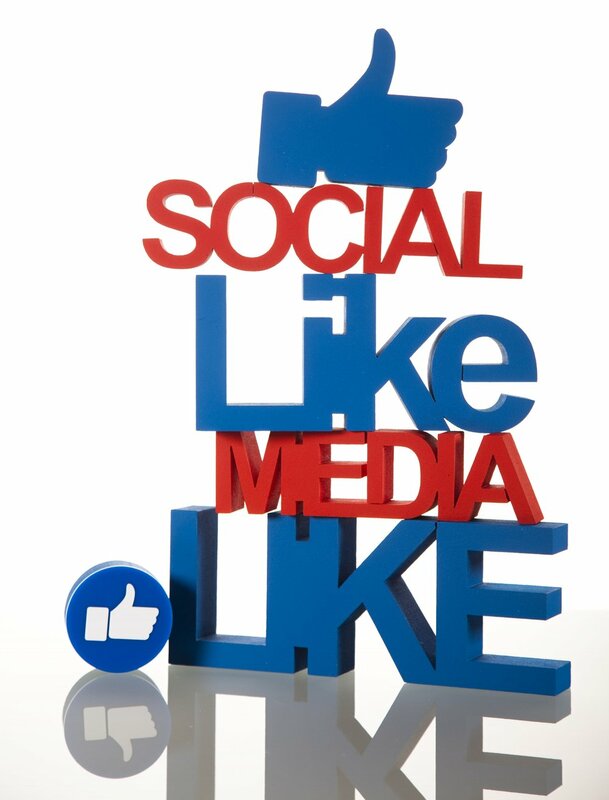 For more information about Rubix Art Marketing's social media marketing services visit: https://www.rubixartmarketing.com/artist-social-media-management/.